Living in Florida, not wearing sunglasses is simply not an option for my family. Therefore, I was so excited to have the opportunity to learn more about the Sunglass Warehouse and to review a pair of sunglasses. The Sunglass Warehouse was started in 2002 with the intention of offering a low cost alternative to high designer sunglass prices. In today’s economy this really caught my attention. The Sunglass Warehouse website was very easy to navigate and was divided into subcategories for women’s sunglasses, men’s sunglasses and kid’s sunglasses. My favorite feature is the option that helps you to choose the right pair of sunglasses for your face shape (always a problem for me in the past) and/or skin tone. As the mother of three young children, protecting their eyes from the bright Florida sun is very important to me. I selected the kid’s style SW#921 for review and was impressed with the quality of these sunglasses. In the past, both affordable and designer brand kid’s sunglasses did not last more than a day or two with my children before they were broken. I was immediately impressed with the stylish and sturdy construction of the sunglasses and was even more impressed when these sunglasses easily made it through time at the beach, in the pool and even on vacation. As of this date, the sunglasses are still going strong. In fact, my other two children have begged their big brother for a chance to wear his sunglasses so much that I have decided to buy two more pairs and surprise them. At these prices (ranging from $8-$20) and free shipping on orders over $25, it is so affordable that it makes it easy to stock up for the entire family. Maybe even a pair for my husband and me. I like the amber Aviator Flip-Up Polarized Sunglasses. 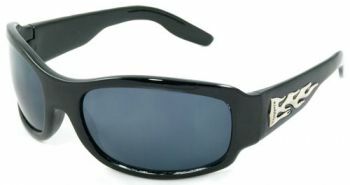 I’d choose SW Polarized Sport Style #1426 in black, thanks. SW Polarized Sport Style #1325 because I need the polarization and I like the fake tortoise shell look. I subscribe to the Sunglass Warehouse blog. I follow Sunglass Warehouse on Twitter @RazzMyBerry.